I don’t know what you called it. The Invitation. Going Forward. Time of Response. Altar Call. Regardless of the terminology, if you grew up in an evangelical church, chances are you had one. It was the time right after the sermon when sinners were invited to come forward and repent. We called it “walking the aisle” (or “walking the plank” depending on your perspective). It was no easy thing to do. There was the awkward conversation with the pastor, the silent stares of sympathy from the pews and the mental gymnastics of those trying to figure out exactly what you did. I’ve literally sat through thousands of these things and yet I’ve only responded twice. Once when I was 12 to be baptized and once when I was 20 to seek forgiveness for some forgotten sin. Where those the only times in my life I had something to confess? No! 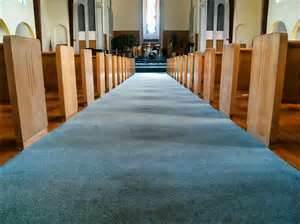 I’ve had plenty of sins to atone for, it’s just that I figured out (as most church folk do) that walking the aisle wasn’t the best way to do it. There were too many assumptions, too many rumors and, frankly, too many people knowing something they didn’t really need to know. There had to be a better way. That’s some of what I tackled in Sunday’s message on James 5:16. I also explained why our church stopped offering a regular time of response each Sunday. To be honest, it started because I got tired of trying to force an invitation at the end of every sermon. Some messages just don’t lend themselves to an altar call. When you’re preaching on proper methods of Biblical interpretation it’s hard to transition to an emotional “come to Jesus” appeal. So we began encouraging people to respond in other ways by either filling out a communication card, sending us an email or just talking with one of our ministers. People are more comfortable responding. Not surprisingly, there are some folks who are terrified by the idea of a public response. While they will never walk the aisle, they’ll happily fill out a card or talk privately with someone. I feel like people are responding to God, not the sermon. Those of you who preach know what I’m talking about. Sometimes the invitation becomes a measure of a sermon’s effectiveness. If the topic is good, the words inspirational and the appeal sufficient then folks will respond. Otherwise, everyone feels sorry for the preacher standing up there all alone waiting on someone to validate his sermon. We have time to talk with people. Instead of having a quick conversation while the song leader wraps up the invitation song, we can actually spend time together. We can learn their story, pray with them, answer questions and study Scriptures. These conversations are important! They shouldn’t be rushed through at the end of the service while everyone else wonders if they’re going to be late to lunch. Our responses are up! This one is a little surprising but it shouldn’t be. People feel more comfortable with the low-pressure approach and the different options. Therefore, we receive more prayer requests, more people ask to meet with a minster and we’re seeing more baptisms! Imagine that. When we stopped asking those wanting to be baptized to walk the aisle, we actually had more walk the aisle (metaphorically speaking of course). Please understand. I’m just explaining what we’re doing. I’m not bashing churches that still offer invitations and altar calls every Sunday. If it works for you, keep doing it! I’m for any way we can get more people to respond to the good news of Jesus. How does your church handle this? Do you offer a traditional invitation/altar call or are you trying something different? Please share any ideas.